Learn how to play football and stop feeling clueless watching from the sidelines. When you say "football" in many parts of the world, most people think of soccer. So, around the globe, football as we know it is often referred to as "gridiron" or "American football." This summary of the basic American football rules will give you a good overview of the game and prepare you to enjoy watching your kids game or start a pick-up game of your own! Gridiron football is played by 2 teams with 11 players on the field at a time who attempt to score points by moving the ball down the field across the goal line or by kicking the ball between the upright goal posts. The team with the most points at the end of regulation time is the winner. The playing field is a rectangle 100 yards long and a little over 50 yards wide. There is a goal line at each end of the field leading into a 10-yard end zone, and at the back of the end zone there is an upright goal post. 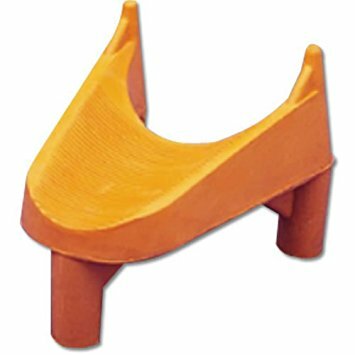 In addition to the protective uniform equipment for the players, you need a football and kicking tee. Footballs come in a variety of sizes. It's important to select a ball that fits your players hands. 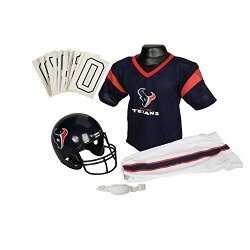 If your little one is an NFL fan, you can buy a youth-sized uniform for his favorite team! Keep in mind though, these uniforms and helmets are not meant to be used in competition. The helmet in particular does not provide the level of protection needed for body contact. College and pro football games last 60 minutes, and the game is divided into 4 quarters of 15 minutes each. High school games last 48 minutes and are divided into 12-minute quarters. The clock runs unless the officials signal it must be stopped for incomplete passes or plays that go out of bounds. The officials also stop the clock when they need to measure the placement of the ball to see if the offense advanced it 10 yards. Each team gets 3 time-outs per half. If the game is tied at the end of 4 quarters, the game goes into overtime. Overtime is different depending on the level of play. For NFL games, the game goes into "sudden death." A coin toss determines which team receives the ball, and the first team to score wins the game. If neither team scores at the end of 15 minutes, the game is declared a tie. High school and college overtime periods give each team an equal opportunity to try and score. Both teams get possession of the ball on their opponent's 25-yard line to score either a touchdown or a field goal. Their possession ends if they score, lose the ball on a fumble or interception, or fail to get a first down. Then the defense takes possession of the ball on their opponent's 25-yard line. 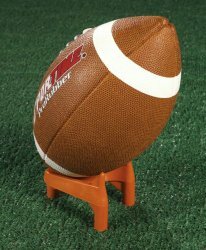 If the teams are still tied going into the 3rd overtime period, each team must attempt to score 2 extra points after each touchdown by running an offensive play to cross the end zone instead of kicking the ball through the uprights for a single point. Substitutes are only allowed to enter the game on a dead ball, and they must leave the field on their sideline. A coin is tossed prior to the opening kick-off to determine which team will kick off first and which goals teams will defend. Play begins with a kick off from the 35-yard line at the start of each half and after a score. After a safety, the ball is kicked off from the 20-yard line. During kick off, all players have to be inbounds. The kicking team, except for the kicker and the place kick holder, must be behind the ball. The opponent must be at least 10 yards away. The ball must travel at least 10 yards. If the opposing team gains possession of the ball, they may advance the ball up the field by running with it. If the kicking team gets the ball, the ball is dead and it's put in play from where it was recovered. If the ball is kicked out of bounds (except for the end zone) before being touched by a member of the receiving team, it's an illegal kick. The receiving team can have the kicking team kick it over again from a spot 5 yards closer to the kicking team's goal or they may opt to take it at the spot it went out of bounds or 30 yards from the point of the kick. Teams change goals at the end of the 1st and 3rd quarters, but the relative position of the ball on the field stays the same. For example, if the offensive team had the ball on the 30-yard line at the end of the 1st quarter, the ball is moved to the 30-yard line on the other end of the field and play resumes. 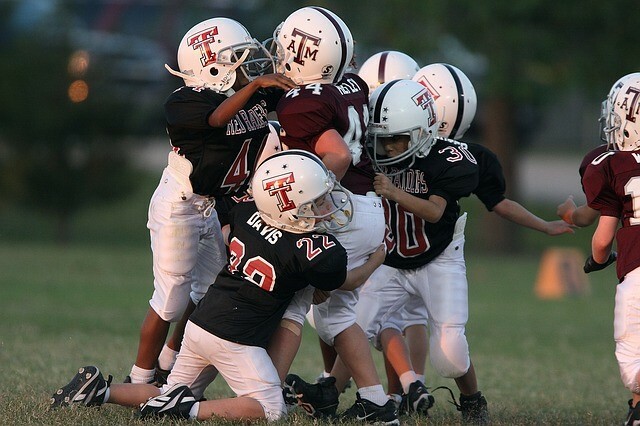 Most of the football game takes place during plays, or downs, that begin at the line of scrimmage. The officials "spot" the ball before each down by placing it at a designated spot on the playing field. A down is the period of time that begins when the center puts the ball into play until the ball becomes dead. 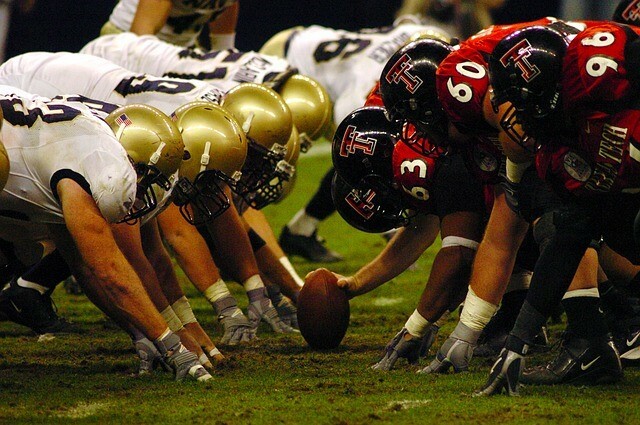 The line of scrimmage for each team is an imaginary line passing through the end of the football nearest to them, extending from sideline to sideline. 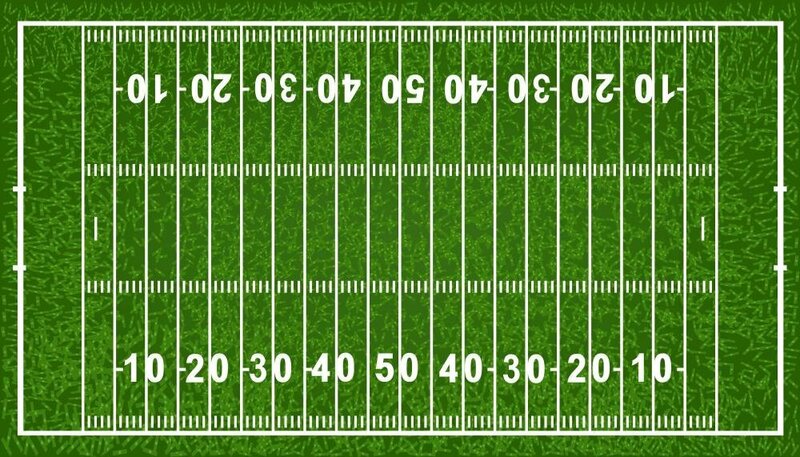 The area between these lines, which is the length of the football, is the "neutral zone." Each team lines up at least 7 players on the line of scrimmage who stand on either side of the ball and are parallel to the goal line. These rest of the team, except the player receiving the snap (usually the quarterback), must be at least 1 yard behind the line of scrimmage. 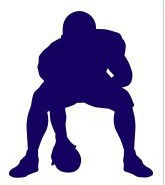 The snap is a backward pass through the legs of the center, who puts the ball into play. The snap must be one quick and continuous motion, and the snapper can't move his feet or lift a hand until after the ball is snapped. Other players have to stay still until the ball is snapped. No one is allowed to enter the neutral zone or move toward his opponent's goal line at a snap. The snap must be to a player behind the line of scrimmage, unless it touches the ground. 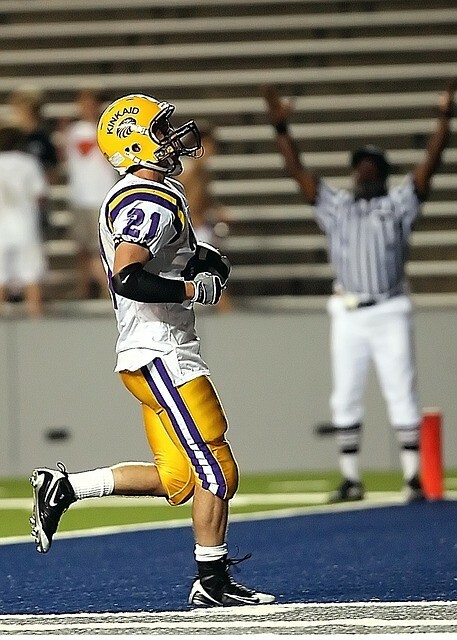 After the ball has been kicked on a punt or kick-off, the player receiving the kick may signal a fair catch by raising one arm straight up in the air. By giving this signal, he has the right to catch the ball without being tackled by any member of the kicking team. The ball is dead at the spot of the catch. The receiver gives up the right to try and advance the ball up the field when he gives a fair catch signal. A runner can make a backward pass at any time. A teammate may catch the pass or recover it if it hits the ground. If a player loses the ball and it leaves his hands, play continues no matter which team recovers it and whether or not it touches the ground. An interception is a pass that's caught by a defensive player while it's still in the air. 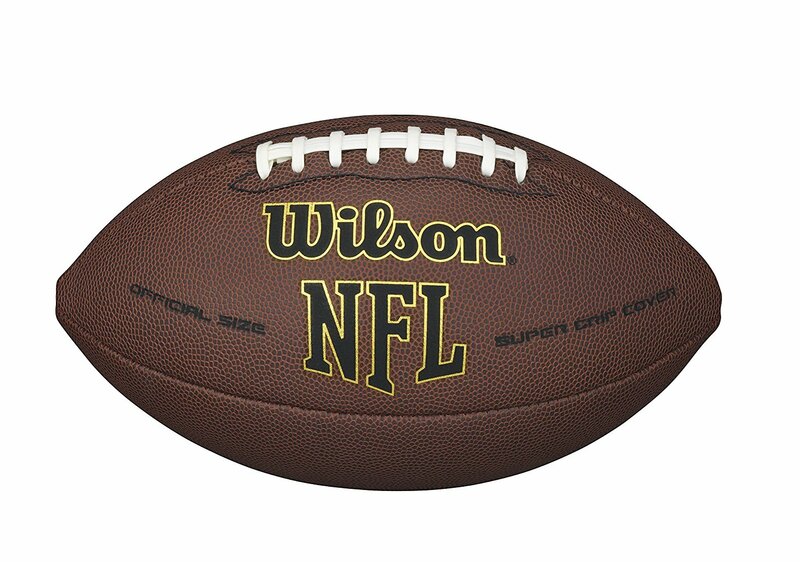 Possession of the ball belongs to the team that intercepted it. Any of the defenders are eligible to intercept a forward pass, but the only offensive players that may catch a forward pass are those who are on the ends of the scrimmage line (except the center, guard, or tackle), or are standing at least 1 yard behind the line of scrimmage. Tackling is when defensive players use their bodies to bring the player with the ball to the ground. Defensive players use their bodies above the knees to block, or impede, the progress of the opponent. 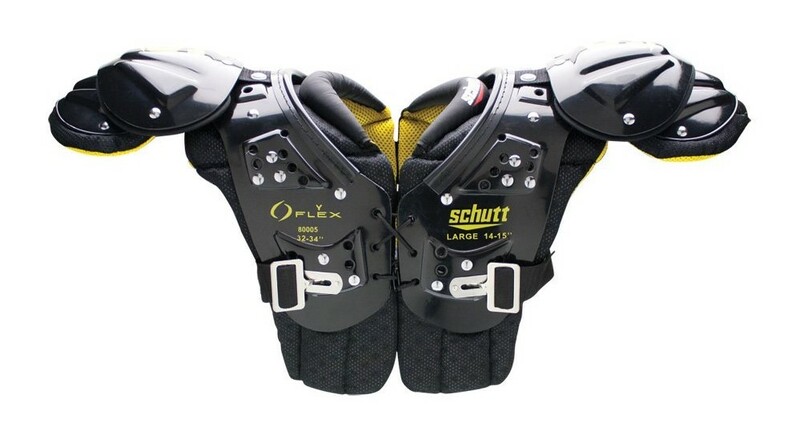 The blocker's hands must be closed and kept inside the elbows. The arms may not be extended to push. Blockers are not allowed to hold on to an opponent, and they can't interfere with a pass receiver, a fair catch, a kicker, or a passer. 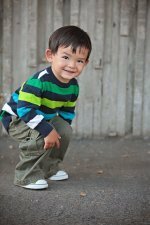 Blocks can't occur below the knees or in the back. The runner with the ball can use his hands and arms to fend off a defender. All of the players line themselves up in formation on both sides of the line of scrimmage. There are very specific rules regarding how the players can line up. It occurs when a player carries the ball into the opponent's end zone or catches a pass while in the end zone. Extra Point = 1 point or 2 points (also known as PAT, point after touchdown). After a team scores a touchdown, they get the opportunity to earn 1 extra point by kicking the ball through the uprights on the goal post. The ball is placed on the 2-yard line, and both teams line up on the scrimmage line for the kick. The distance of the extra point kick is 20 yards. The scoring team may opt to go for 2 points instead. The ball is still placed at the 2-yard line, but instead of kicking it, they try to get it into the end zone again either by a run or pass. If they're successful in crossing the goal line with the ball, they earn 2 extra points. On a team's 4th down, if they don't feel they will be able to advance the ball far enough for a 1st down and they feel they are within kicking range, they may attempt to kick a field goal from the line of scrimmage. If the ball goes through the goal post, they earn 3 points. If the kick is unsuccessful, the opposing team gets possession of the ball at the line of scrimmage or the 20-yard line (whichever is farther from the goal line). 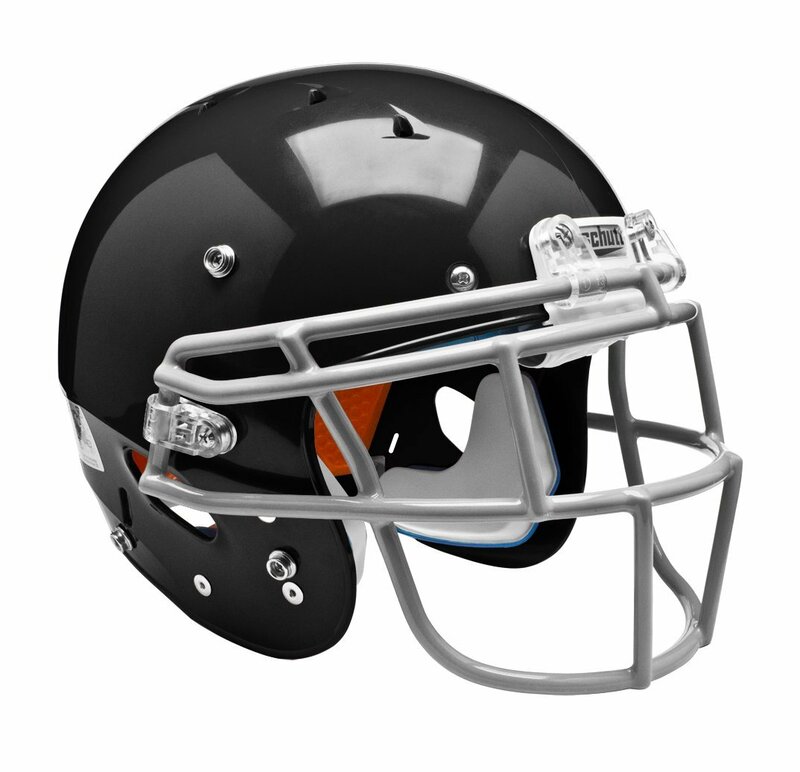 A safety is called when an offensive player is tackled with the ball in their own end zone. When this happens the defensive team is awarded 2 points, and the team that was scored on has to kick off from their 20-yard line. When a ball is kicked out of bounds, it is placed at the point where it crossed the sideline. The only exception is for a free kick. When a free kick is kicked out of bounds, it is kicked again after moving the ball back 5 yards from the original spot of the kick. If a player with the ball runs out of bounds, the ball is placed at the inbounds lines in the center of the field at the point where he went out of bounds. If the ball is passed, kicked, or fumbled out of play behind the goal lines by the opposition, the defending team gets possession of the ball at the 20-yard line between the inbounds lines. 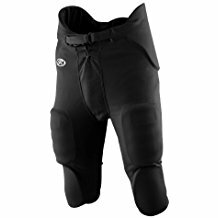 If you're looking to get a fun pick-up football game going, you will definitely need to modify the basic American football rules to fit the size of your group, your available equipment, and the size of your playing field. A very popular modified game is flag football. 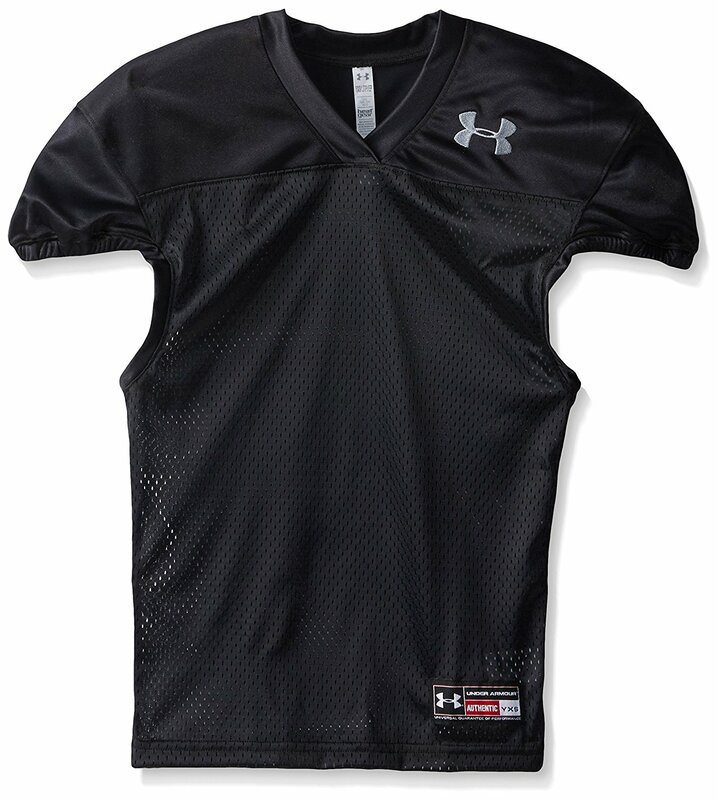 A fun way for young kids to learn how to play football is through an NFL flag football league. 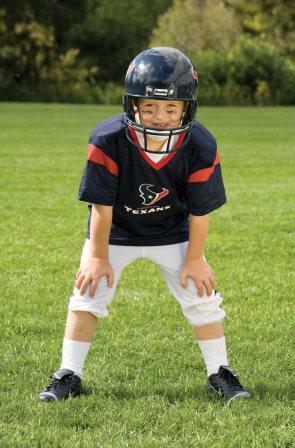 For those kids ready to put on the pads, there are lots of organized youth football leagues in most cities throughout the U.S.
Search our fun kids sports activities that include modified football games.